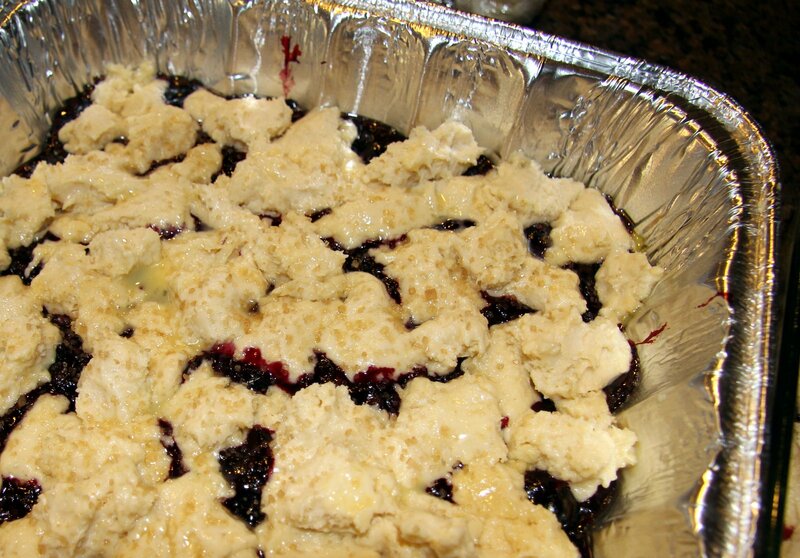 Ahhh cobbler… One of the most comforting, take you back to a picnic in your grandmother’s backyard desserts ever. 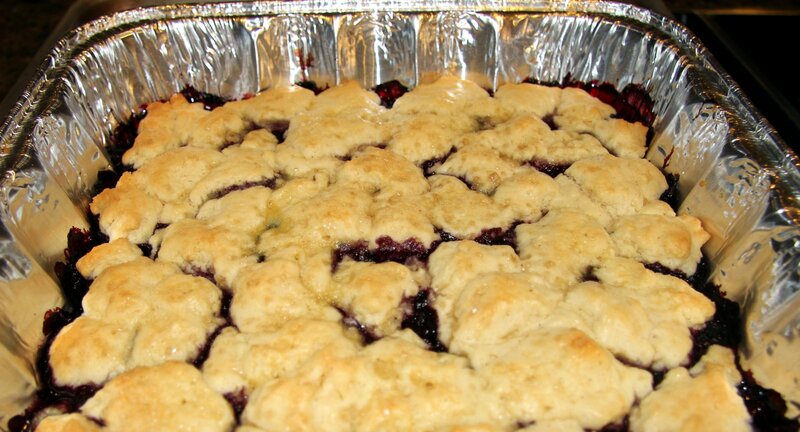 I have to admit, I did not appreciate the simple greatness of cobbler until adulthood, but I do remember it being a huge hit with most of my relatives while I gravitated toward the chocolate frosted sheet cake at the family reunions. I now know there’s nothing that celebrates a berry better! Alas, I do not have a family recipe, but I do have a great one from Jake’s Famous Crawfish in downtown Portland. They’ve been around for over a century so I’d trust any recipe from them like I would my grandmother. Our good friend, Julie, began making this recipe years ago and it quickly became my husband’s favorite. You’ll see there’s very little sugar in it, making the berries and the buttery flavor of the topping really come through, and making the vanilla ice cream quite a necessary compliment. You may use whatever combination of berries you like. 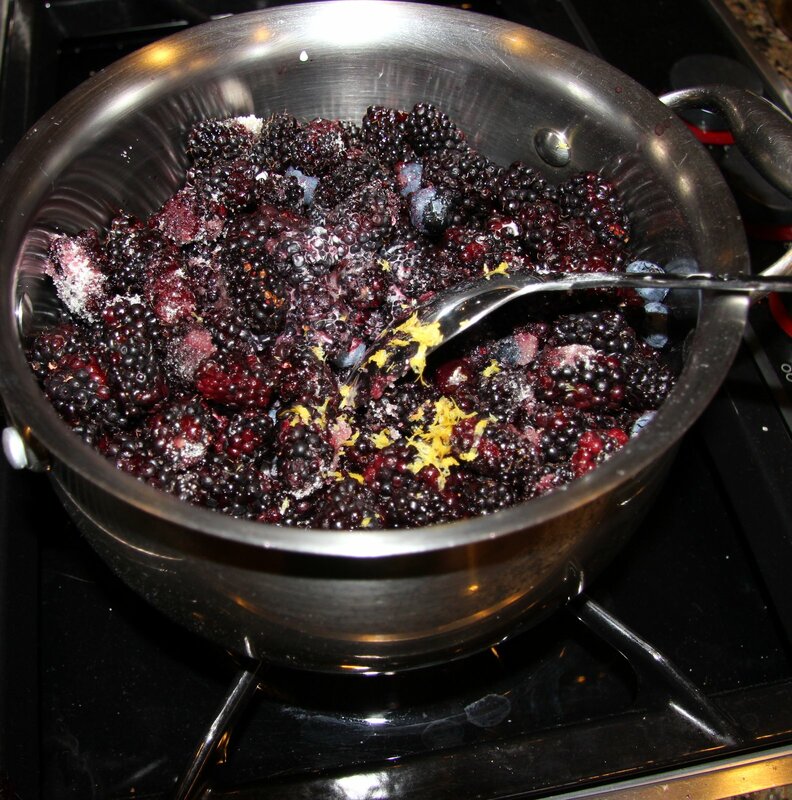 Here I used two blackberry varieties, Marion berries and Sylvan berries. Marion berries being more on the tart side than the sweeter, slightly smaller Sylvan. My mom used to love to talk about how her dad, my Grandpa Martin, was one of the first farmers to grow Marion berries, which were developed in the Ag department at Oregon State University, so I’ve always been partial to them. I also used fresh Oregon blueberries and I would have used raspberries but they were all sold out at the farmstand. This is really so easy and such a crowd pleaser so, go ahead, celebrate your berries with cobbler! 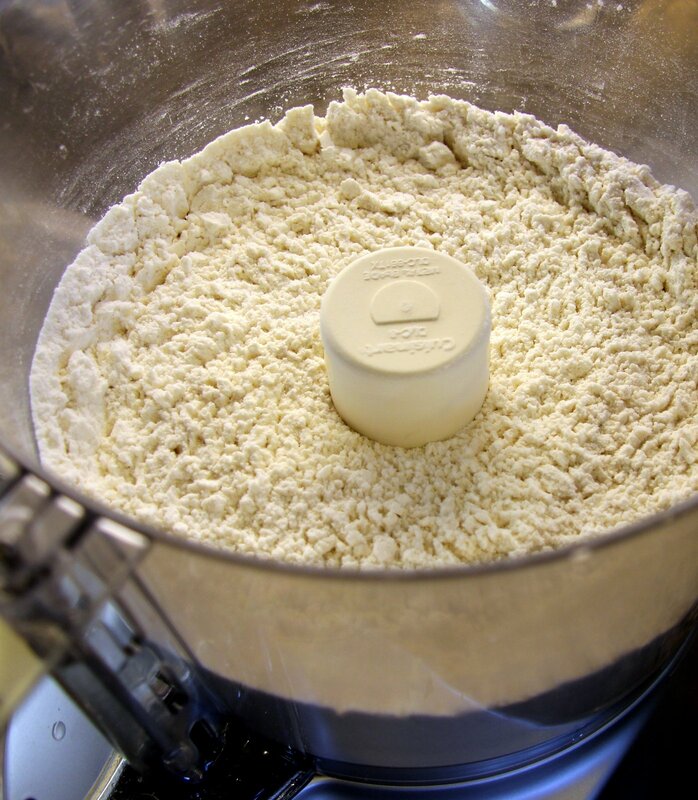 Combine flour, baking powder and sugar in a mixing bowl or food processor. Using a fork, pastry cutter or the pulse function on your FP, gradually add cold butter until the mixture has the texture of coarse cornmeal. 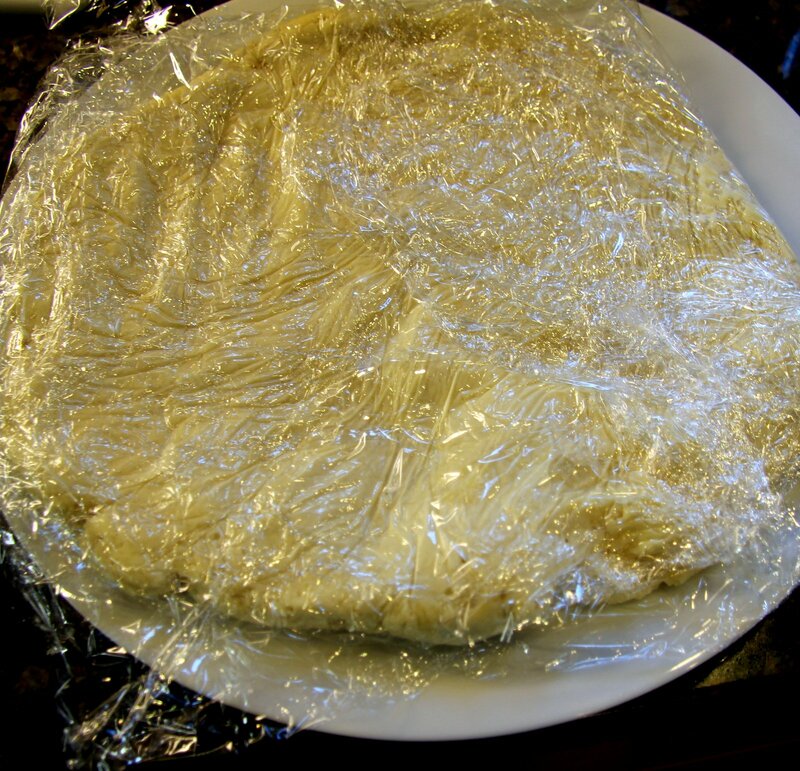 Blend in the eggs and milk, form in a ball, then flatten and wrap in plastic wrap. Chill in fridge while you prepare the berries. Coat pan/pans with cooking spray or softened butter. I used two square pans because I was making one for a meal train but a 9×11 Pyrex works well. 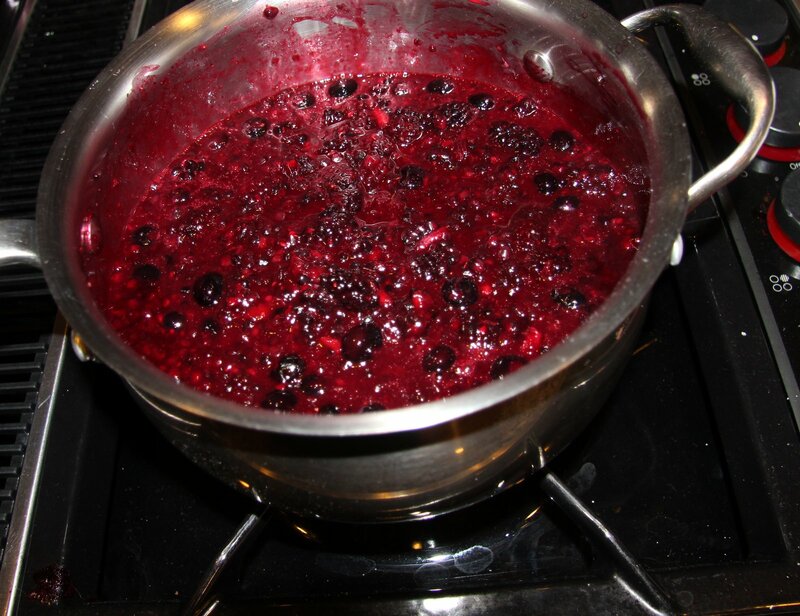 In a large saucepan or stock pot, combine berries, water, sugar, cornstarch, lemon juice and zest. Bring to a boil, stirring frequently and cook until mixture is thick and syrupy. Remove from heat. Remove the chilled crust. Now, Jake’s gets all fancy here and asks you to roll out the crust and place it in one large shape over the berries. I had neither the time or inclination to do so. You can do it their way or you can, simply, break it up in pieces and place it randomly over the berries. I like that it’s more rustic looking this way. Cobbler should be casual. 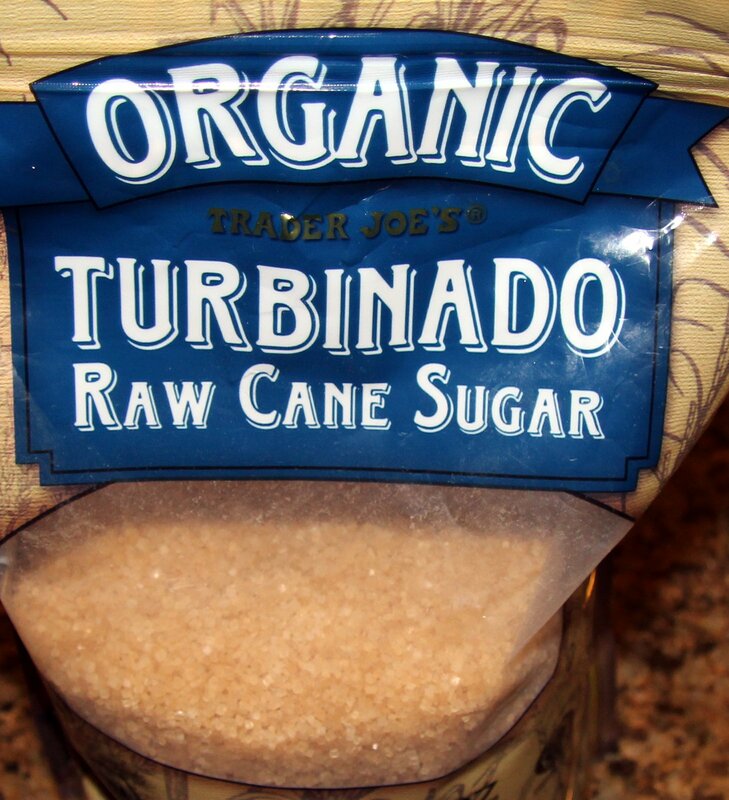 Finally, and this is not in Jake’s version, I like to sprinkle some turbinado sugar over the top of the crust. It adds a little extra sweetness and the course texture adds a bit of crunch. Bake for 20-30 minutes, depending on size of pan. 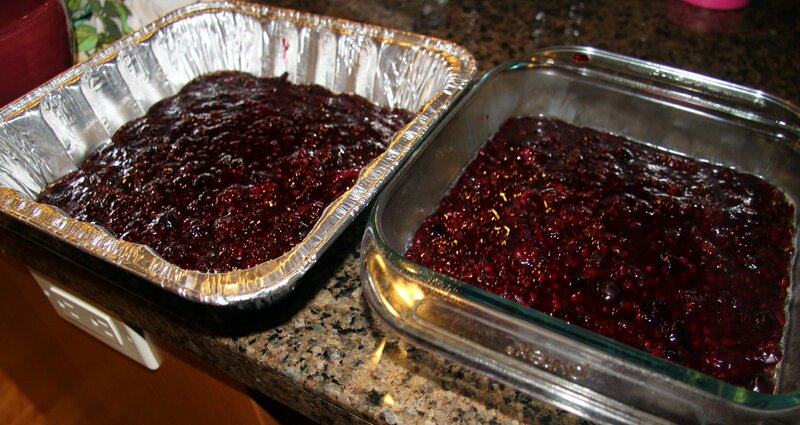 Berries should be bubbling and the crust should be turning golden brown. 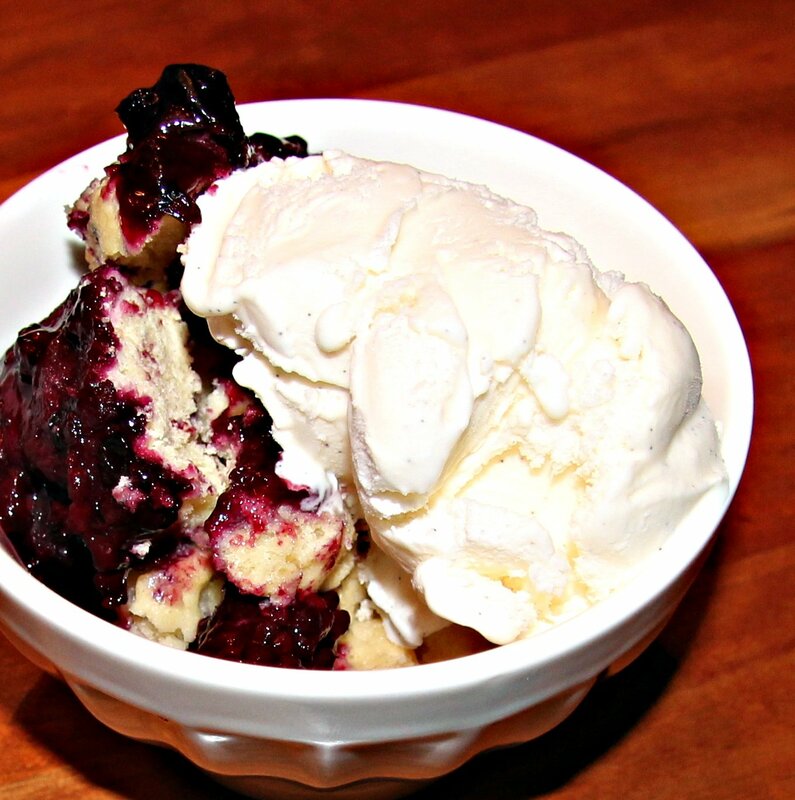 Serve with a generous scoop of really good vanilla ice cream like Tillamook Vanilla Bean or Haagen-Dazs. Remember, we’re celebrating the berry, don’t cheap out on the ice cream!